Passenger vans are gaining more and more popularity these days due to their snug seating comfort, carrying capacity and versatility. That family outing or office group pool is just a van away and there’s plenty of space for all the picnic gear and luggage too. The 12-seater Chevrolet Express Passenger is one such comfortable van with lots of power, seating space, features and entertainment options. The Express Passenger was voted as the vehicle with Best Commercial Value in the 2018 Vincentric US Fleet Awards. 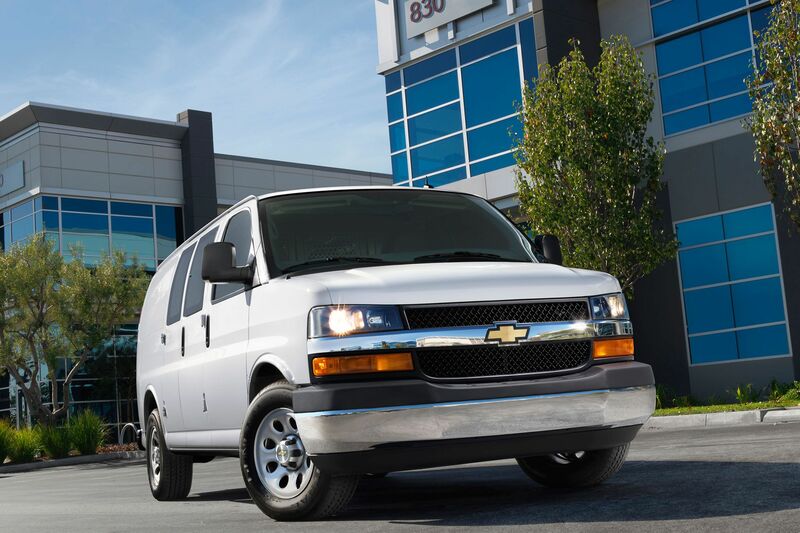 We take a quick look at what has changed in 2019 in the Chevrolet Express Passenger at Chevrolet dealer Sandpoint. The boxy ergonomic design of the Express Passenger continues in the 2019 edition in the 12-seater. This can be upgraded with the available option to accommodate up to 15 with the extended wheelbase version. 16″ steel wheels which include Gray center caps are standard across the available variants. The windows incorporate some of the most advanced glass such as the Enhanced-technology glass for the rearmost windows, solar-ray deep tinting on all the windows except for the windshield and front windows that have light tinting. The available Full-body window glass package adds tons of style. You also have passenger-side door that wings out and can be converted to a sliding door with the available upgrade package. The rear doors swing out and the so do the rear cargo door windows which help air circulate throughout the vehicle interiors. The Express Passenger is offered in three different configurations, all of which use a RWD drive train such as the 2500 and 3500 in Passenger Regular Wheel Base that offers 216.2 cubic feet of inner space and the 3500 Extended Wheel Base that offers 252.80 cubic feet that seats up to 15 persons. The Express Passenger comes in two trim levels – the LS and LT. The LS has standard features such as Rear Air Conditioning for the passengers, front and side impact airbags and Power windows and door locks. The LT has all these and comes with some style accents such as chrome bumpers, color-keyed carpeting for the floor. A rear vision camera is standard, and you can add an available built-in 4G LTE Wifi hotspot for the passenger’s convenience. All the trims come standard with a 4.6L V6 which doles out 276 horsepower and 298 lb-ft of torque. This is delivered through 8-speed automatic, electronically controlled transmission. There are also lots of available engine upgrade options such as the CNG/LPG capable 6.0L gaseous V8 we noticed at Chevrolet Sandpoint that needs some slight alterations and the 6.0L V8 Vortec engine, both of which can dole out a massive 341 horsepower and 373 lb-ft of torque. These can be combined with the available 6-speed Heavy-duty Automatic for unleashing all that power. You also have an available 2.8L Duramax Turbo-Diesel 4-cylinder engine that gives 181 horsepower for that stable speed but again a massive 369lb-ft of torque for that extra pull. You also have some heavy-duty trailering equipment to go with this. Next articleHow Corporate World Is Getting Benefited By Mobile Device Management? How To Choose the Right Scrap Car Service?